Canvas: how much are we willing to pay for it? I found myself wondering that when I saw the Lanvin Gourmet 22 Faubourg Tote today. My initial reaction was that it was adorable and French in a wonderful way, and that it would be great with a white top and jeans. My second reaction was, “It’s $680. What is it made out of? Oh, canvas. Nevermind.” But then I thought again, because don’t tons of handbag enthusiasts spend tons of money on Louis Vuitton canvas bags every year? Net-a-porter’s description indicates that this canvas bag is treated, and while it pay not be as durable as Louis Vuitton canvas (because, after all, what is? ), how do we decide what’s an acceptable amount to pay for a bag that’s not leather? Does the brand matter? Does Louis Vuitton’s canvas get a pass because of its history or status? 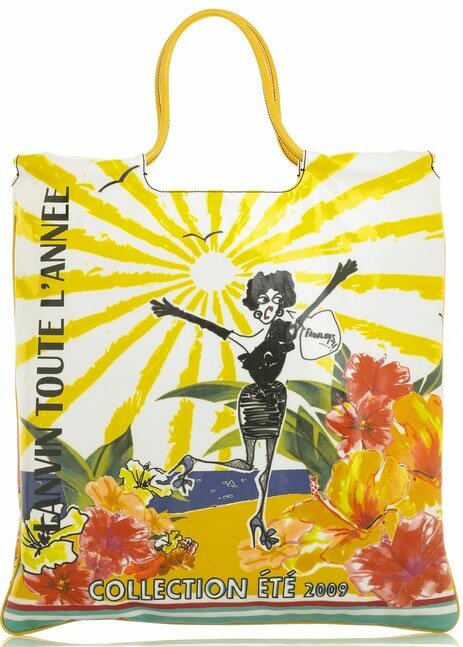 I’m not sure how to answer these questions, but I do know that I wish Lanvin’s adorable tote was a little less expensive. Buy through Net-a-Porter for $680.